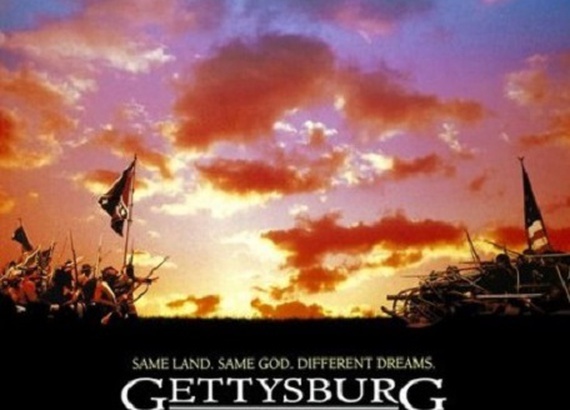 The Gettysburg Foundation, in partnership with the Journey Through Hallowed Ground, is pleased to announce that we are celebrating the 25th Anniversary of the release of the iconic movie Gettysburg with Director Ron Maxwell and other special guests with an exclusive screening at the Majestic Theater in downtown Gettysburg on October 13. Considered by many to be the greatest war movie, it clocks in as the longest American film ever made. It notably featured thousands of re-enactors who joined Ted Turner in the climatic Pickett’s Charge scene filmed right here at Gettysburg. Attendees are welcome to attend a Q&A session with the Director and special guests beginning at 5:00 pm before the film starts at 6:00 pm. Ron Maxwell has expressed his gratitude for all the preservation efforts made on the Battlefield over the past 25 years thanks largely to the efforts of the Friends of Gettysburg. During the Q&A, he will explore how these preservation efforts would have changed his filming perspective for the better, not having to navigate around modern intrusions like power lines, towers, and hotels. Along with special guests, he’ll also share his many insights into the making of this classic film. Proceeds from ticket purchases support the preservation and education missions of the Gettysburg Foundation and Journey Through Hallowed Ground. See our Programs, Lectures and Seminars page for more information.